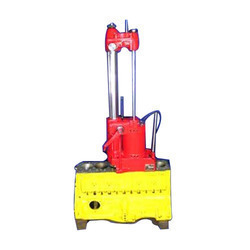 Prominent & Leading Manufacturer from Ghaziabad, we offer motorcycle cylinder boring machine. We hold expertise in offering premium quality Motorcycle Cylinder Boring Machine to our valuable customers. Driven by an intense desire to attain maximum customer satisfaction, our team of logistics professionals assure timely delivery of these boring bars at the customers’ end. Owing to their ability to withstand high temperature, these bars are highly demanded across various industrial boring applications. Looking for Motorcycle Cylinder Boring Machine ?